Surely We revealed the Message, and We will surely preserve it. The style of Arabic clearly matches the Earliest period of Islam. 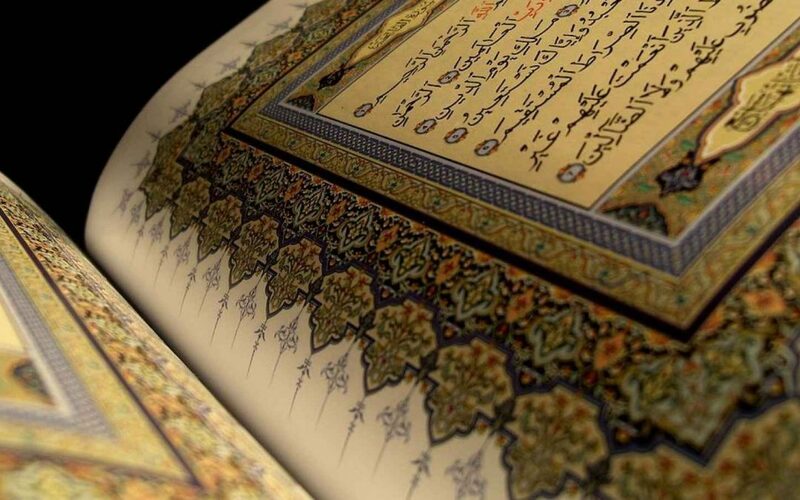 The Birmingham Qur’an Manuscript contains parts of surahs 18-20 of the Islamic holy book, written on parchment in an early form of Arabic script known as Ḥijāzi. The result of radiocarbon dating of the parchment on which the text is written places the manuscript in the period between 568 and 645 with 95.4% probability. The testing was commissioned from the University of Oxford and carried out in 2014. This result suggests that the manuscript dates back to the first century of Islam, close to the lifetime of the Prophet Muhammad (about 570–632) and the rule of the first three Caliphs. According to Islamic tradition, the Prophet Muhammad received the revelations that form the Qur’an between 610 and 632. 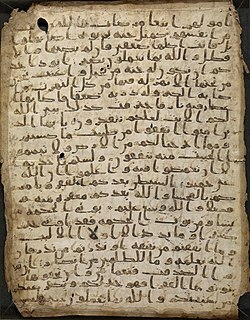 The Birmingham manuscript is one of the earliest surviving fragments of the Qur’an and one of only a handful of early manuscripts of the Qur’an in the world to have been radiocarbon dated. It Is part of the Mingana Collection of 3,000 Middle Eastern manuscripts, cared for by the Cadbury Research Library at the University of Birmingham, UK. The collection was brought together in the 1930s, funded by Quaker philanthropist Edward Cadbury to raise the status of Birmingham as an intellectual centre for religious studies. 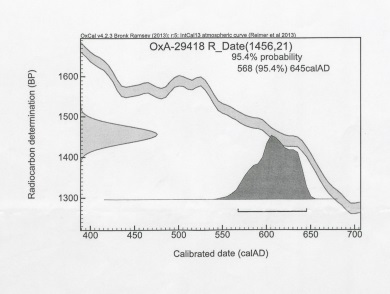 The graph of the radiocarbon result for the parchment from the University of Oxford shows the date range of 568-645 with 95.4% probability. This result really is startling, considering the lifetime of the Prophet SAW was 570 to 632. The Sana’a palimpsest (also Ṣanʿā’ 1 or DAM 01-27.1) is one of the oldest Quranic manuscripts in existence. Part of a sizable cache of Quranic and non-Quranic fragments discovered in Yemen during a 1972 restoration of the Great Mosque of Sana’a, the manuscript was identified as a palimpsest Quran in 1981; as it is written on parchment and comprises two layers of text. A radiocarbon analysis has dated the parchment of one of the detached leaves sold at auction, and hence its lower text, to between 578 CE and 669 CE with a 95% accuracy. Firstly it is amazing we can point to documents that date back to our Prophet SAW, and they match the Quran we have today. There are however some criticisms raised at these documents, namely the “lower text” of the Sanaa Quran. The lower text refers to the text that was originally on the parchment and then washed off and replaced with the upper text. The lower text has many differences to the Quran we have today, however, it is clear that it was never meant to be published. It appears to be a “practice” page, having various number of lines per page, poor handwriting, and areas where corrections in neat handwriting were made, like a teacher correcting a student. The corrections are inline with the Quran we have today. There are also areas were the writer was not writing straight, and sections of poetry or other text written. There are some differences in these ancient Qurans, and the ones we have today. Are they significant ? no. Why are they there? The form of Arabic at the time of the Prophet SAW did not have vowel markers, which aid speech. So for example, one area may say a word slightly differently to another area, even though it was spelt the same. We have this today, for example the word “Book” is pronounced very differently in Liverpool, than London. As the Arabic language matured, vowel markers were added to allow the reader to know how to “say” the word, these markers arrived after the Quran was formulated. Hence, there are subtle vowel marker changes in existence, this does not change the meaning, but does change the sound of the word. Absolutely amazing!! So for what reasons and where were these manuscripts ‘sold’ and to whom? How did it end up in Birmingham?? No idea Fahmida. I was hoping a Muslim who is rich would buy it and protect it, study it etc. Its such as shame that our wealth is in the hands of the worst of us. 16|56|And they allocate, to something they do not know, a share of what We have provided for them. By God, you will be questioned about what you have been inventing.